Welcoming a new puppy into your family is an exciting time, but it can also bring up many questions and concerns - especially for first time dog owners. 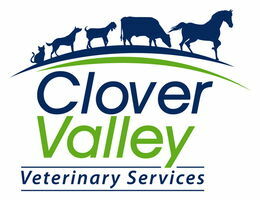 All of us at Clover Valley are here to provide guidance for you and your new puppy to give them the best possible start in life. Our veterinarians are here to provide you with guidance and answer any questions you may have on how to care for your new puppy and keep them happy and healthy for years to come. In addition to the core recommended vaccines, our veterinarians will create a custom vaccination schedule that fits your puppy’s needs and lifestyle. This will ensure that your pet is protected from any diseases he or she is likely to be exposed to. There are many diseases that are preventable through the judicious use of vaccines, so it is important to create an individualized protocol early in life to protect both your puppy and your family. Just as vaccines protect your pet from disease and illness, microchips help keep your puppy safe if they are lost or stolen. The unique identifier in your pet’s microchip will help bring them home safely, providing shelters and animal hospitals with your contact information to reunite you with your pet. In preparation for your puppy’s first visit with us, it is helpful to bring the health information provided to you by the seller or shelter. We also ask that you bring a fresh stool sample, and bring your puppy on a leash or in a secure carrier.